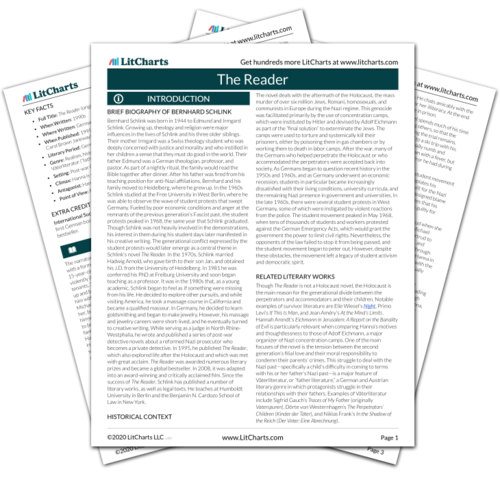 Instant downloads of all 946 LitChart PDFs (including The Reader). 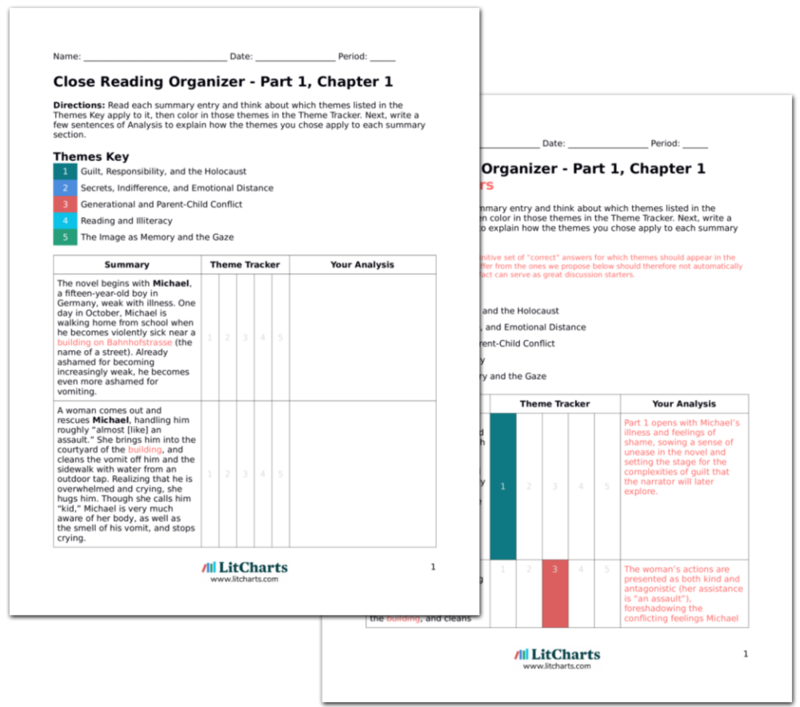 LitCharts assigns a color and icon to each theme in The Reader, which you can use to track the themes throughout the work. Though Hanna initially haunts his thoughts, eventually (over the course of years) Michael is able to stop feeling guilt for her—or for anyone else. This somewhat relieves his pain over losing Hanna, but his newfound indifference makes him emotionally distant from others as well, and his lack of guilt prevents him from taking responsibility for hurting others. Michael has been enormously affected by his relationship with Hanna, whether he’s actively thinking of her or not. Lee, Sophia. "The Reader Part 2, Chapter 1." LitCharts. LitCharts LLC, 9 Mar 2017. Web. 25 Apr 2019. Lee, Sophia. "The Reader Part 2, Chapter 1." LitCharts LLC, March 9, 2017. Retrieved April 25, 2019. https://www.litcharts.com/lit/the-reader/part-2-chapter-1.